Mumbai: Girls and women residing in slums of Mumbai will no longer have to compromise on their menstrual hygiene as the Brihanmumbai Municipal Corporation (BMC) will soon install sanitary pad vending machines and incinerators in community toilets of Mumbai. Each machine will have 500 sanitary napkins. The measure has been taken in a bid to promote cleanliness and hygiene among women who often cannot afford sanitary napkins every month. The proposal drafted by the civic corporation is likely to be discussed in the upcoming Standing Committee meeting that is scheduled next week. Last year, the BMC had provided sanitary vending machines in 72 schools for girls studying between Class 6 and Class 10. In continuation with that project, we are planning to install the vending machines in community toilets across the city. Along with the vending machines, that will give out sanitary napkins, the civic corporation will also install sanitary pad incinerators to scientifically dispose of the menstrual waste. “In schools where we installed the vending machines, girls would dispose menstrual waste either in garbage or toilets, which choked up the toilets and spread diseases. As a solution, we decided to install incinerators as well in future. The napkins get burnt to sterile ash and thus avoids the bacterium spreading from commonly used methods of disposal of napkins,” Mr Shankarwar adds. The 72 schools where a vending machine is already installed, the BMC will install incinerators there as well. 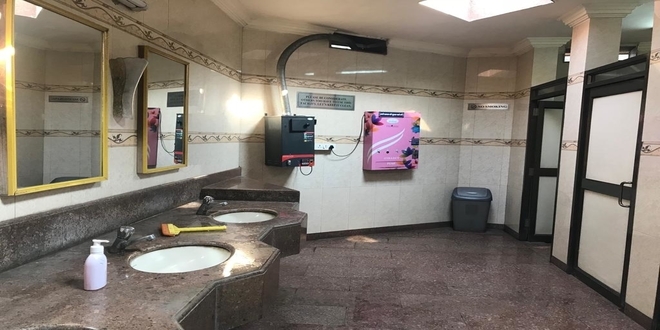 There is a total of 652 community toilets across the city, of which 235 toilets will soon get sanitary pad vending machines and incinerators in the first phase. The machines are likely to be set up by end of September this year and around two lakh sanitary pads will be made available for free in phase I. The total cost of the machine, sanitary napkins and maintenance in all the community toilets will BE around Rs 3.28 crore. To improve the overall sanitation and health practices among slum dwellers in the city, the BMC is constructing 22,000 toilet seats in vertical toilets structures. The project is divided into two phases. In the first leg, where the BMC is expected to spend Rs 422 crore to construct 15,000 such seats by end of 2019. The remaining 8,000 will be constructed in Phase II.